OMG … as if it wasn’t bad enough to have the acne in the first place … ! But if that wasn’t bad enough, some Swedish researchers appear to have validated suggestions that there may be an association between having severe acne in late male adolescence and risk for prostate cancer in the future. Now to be fair, the new paper by Ugge et al. carefully points out that they aren’t the first group to suggest an association between severe acne — caused by a bacterium known as Propionibacterium acnes or P. acnes — and risk for prostate cancer later in life. On the other hand, they do seem to be the first group to have been able to quantify this risk. Ugge and his colleagues were able to use Swedish databases to identify nearly 250,000 young men, all born in Sweden between 1952 and 1956, who had to undergo evaluation for military conscription at about age 18 after World War II, when conscription was still common in much of the Western world. The Swedish Military Conscription Register and the Swedish National Patient Register provided test information, health data, and medical diagnoses for all of these young men at that time. They were than able to cross-correlate the original data for the young male conscripts against data in the Swedish Cancer Register to identify the occurrence of prostate cancer among these specific individuals up through December 31, 2009. The original conscript database included 243,187 young men of about 18 years of age. 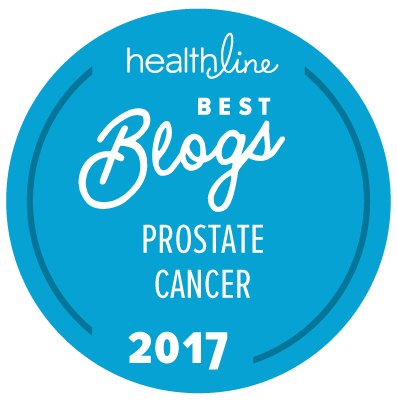 1,633 of these men had a subsequent diagnosis of prostate cancer at an average (median) follow-up of 36.7 years. Data from this large prospective population-based cohort add new evidence supporting a role of P. acnes infection in prostate cancer. Is there any way to determine whether there is a real cause and effect relationship? Does the period of time that the young man has P. acnes infection affect his risk for prostate cancer? And, concomittantly, if one can cure or at least significantly ameliorate the P. acnes infection in adolescence, does this lower risk for later prostate cancer diagnosis? Should severe acne in male adolescents be added to the list of factors that would be highly suggestive of the value of PSA testing in mid-adulthood? Is this finding relevant only to white males, or can it also increase the already heightened risk of prostate cancer in men of African ethnicity such as African Americans and Afro-Caribbeans? Perhaps high-range testosterone levels in the transitional teen years provide more oily skin secretions to establish a stronger population of this bacterium, which perhaps remains in/on the body as a source of future prolonged inflammation for prostate tissues, increasing the likelihood of future prostate cancer. Related small studies have been happening for several decades. The association always seemed reasonable to me via some sort of hormonal route. I doubt very much it’s causative but who knows, in a world where AF might cause cancer.